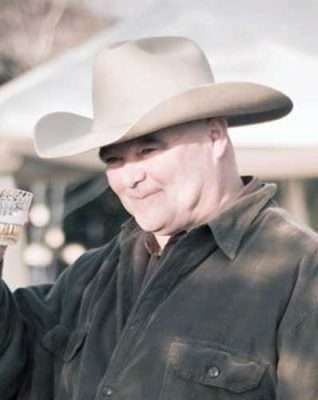 Stuart “Stu” Raymond Smith, 58, passed away Wednesday, May 30, 2018 near his home in Janesville, California, where his work family tried to revive him of a heart attack. Stuart was born June 30, 1959 to Fred and Elizabeth (McNearney) Smith in Bakersfield, and he spent his childhood with his brother, Michael Smith, in Porterville, where he had fond memories of hunting rabbits and playing baseball. Stuart served honorably as an Antitank Assaultman in the Marine Corps from 1976 to 1980, where he received the Good Conduct Medal and the Rifle Sharpshooter Badge. He was proud of his service and was a lifelong patriot and member of the American Legion, Post 20. Stu has always been drawn to providing emergency medical services. When anyone asked him what he did for a living, he would answer, “saving lives.” He kept a tally of how many babies he delivered and regularly received thank-you cards from patients he helped. Most recently, he worked at PHI Air Medical, where he was a well-loved coworker and seen by some as a father figure. Stuart was happiest in life when surrounded by family, animals, guns and mountain terrain. His daughters’ fondest memories were of target shooting, bird watching and hiking and swimming with their dog Bean Sídhe. He shared his love of the outdoors with all friends and family, and he taught all how to respect and revere nature. Stu is survived by his daughters, Elizabeth (Dustin) Noel, Christina (Thomas) Martin and Brianna (Elijah) Ford and their mother, Carol Fiori; brother, Michael (Donna) Smith; niece, Stacie Hernandez; nephew, Kurtis Smith; and three grandchildren; step daughters, Christie Lewis, Lisa (Jeff); six grandchildren; one great-grandson. He was most recently in a loving relationship with Kathy DeLonge. Stuart is preceded in death by his parents and his loving wife, Mary Corrine Smith (Rattray). Stuart nursed Mary through a devastating illness, and his heart was broken by her passing in 2017. A memorial service will be held at 11 a.m. on Friday, June 8 at Standish Bible Church in Standish, California with Pastor Tony Loubet officiating. Family and friends are invited to celebrate Stu’s life at the service and reception to follow at 718-960 Plumas Ave., Standish, CA 96128. A viewing will be held at 1:30 p.m. on Friday, June 8 at Walton’s Colonial Mortuary, 115 South Lassen St, Susanville, CA, 96130. Stuart will be interred on June 22, 2018 at the Prosser Cemetery in Prosser, Washington, next to his late wife, Mary Smith.